Weekend Ramblings: Tossing Out The Old Mascara: Do you follow the 3-month rule? Tossing Out The Old Mascara: Do you follow the 3-month rule? Mascaras, once opened, have to be replaced after about 3 months - that's the makeup rule. I don't use makeup that often, about 2 times a week at most, so I find it a little difficult to part with an almost brand new mascara just because it's 3 months old. 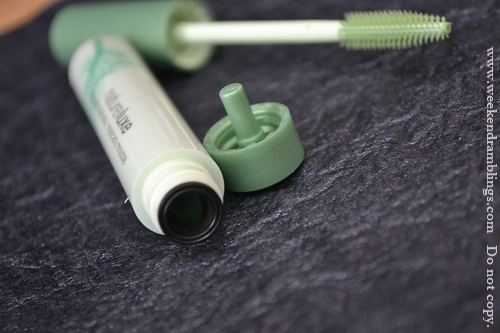 I got my Covergirl Natureluxe mascara some time in August, and it's November now, so I guess I should be switching to a new tube now - but I was just wondering, does everyone follow the 3-month rule or do you think it's okay to stretch it a bit? Oh okay..I tho do that wiping thing..
Woww Nupur..Jaiho Jaiho Jaiho Jaiho Jaiho Jaiho Jaiho Jaiho !! I haven't had problems with clumping, but I definitely agree on the stinging/irritation. Am super scared of an eye infection! Cali - I wipe off excess mascara on a tissue...that way it won't clump on the lashes. You clean your mascara wand?? I never do that! Hehehehe, Rads, I used my Maybelline Colossal volume one for full one year until it was finished. I tend to replace my mascaras once every 6 months. I also use about two at a time. If the mascara gets an odd smell, however, I toss it sooner. Sometimes I keep it longer if it smells fine and hasn't given me any trouble. Oh you use two mascaras at a time! I read that on a lot of blogs..using two different types of mascaras gives a better look, but I haven't tried it myself.. I know what you mean, feels so bad to throw it out when its hardly used :( I am currenly juggling b/w some 5-6 mascaras...I've lost track & I'm gonna feel so bad about throwing them out :( But I try to toss them out once in 3-4 months. I always figure if it doesn't smell bad, I'll keep it...but I guess I should be more diligent about it! Still, I rarely use mascara, but I like having one on hand...such a dilemma, haha! distraction is my middle name!